EMU Boots now at Fiddlesticks! Fiddlesticks just recently discovered all natural sheepskin boots from EMU, and we are simply pleased about our find. Well made and absolutely adorable, they are one of our favorite fall footwear brands. 1. EMU Australia procures their sheepskin from the meat industry, so it is recycled - a byproduct. And in this day and age, that means a lot to us. 2. They have crafted their own patent pending moulded heel cup which provides a better fit and support. 3. Water resistant! Which as we all know with kids is a HUGE benefit. 4. The sheepskin lining allows for moisture to be wisked away- meaning odorless boots! 5. DESIGN. 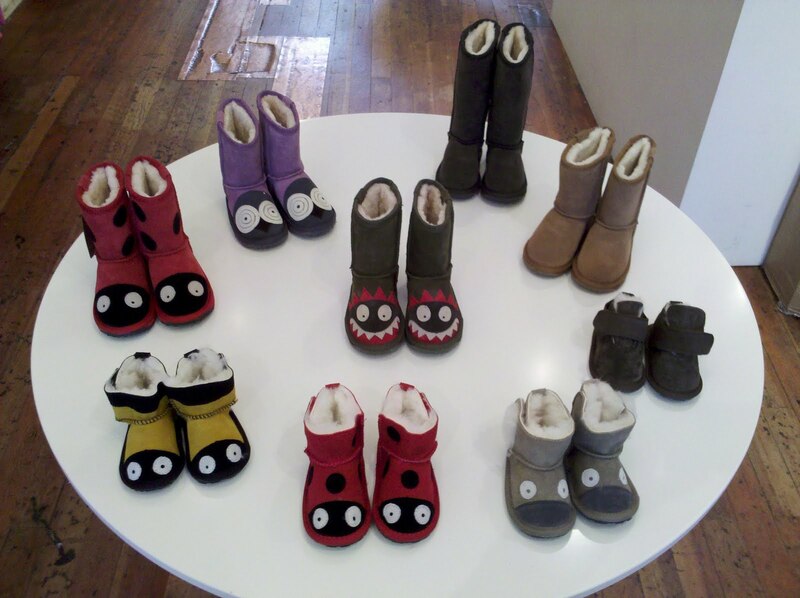 Your little one will have loads of fun stomping about this winter, perhaps with a little bit more personality??! For the girls, try the Lady Bird Boot or for a bit more style the Wallaby Hi. The boys can spark some fun in the Frill Boot, and perhaps for the little ones the Little Creature Bee Walker or Koala. Either way, not only will they be warm and last through the toughest of winter ware....they will look simply adorable!